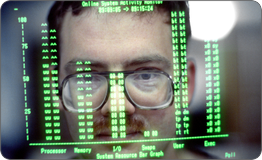 The mission of the Biotechnology High Performance Computing Software Applications Institute (BHSAI) is to perform interdisciplinary research, combining physical-, computational-, and life-science research, to improve the efficiency and efficacy in the development of militarily relevant medical products for Force Health Protection. 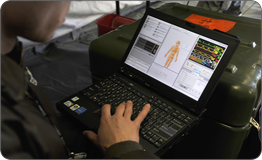 The Institute collaborates with life scientists within and outside the Department of Defense to develop and integrate computational biology and medical informatics applications into research programs focused on improving the medical protection and care of our military personnel. With the ability to model and simulate complex problems on computers, many potential solutions can be quickly evaluated, effectively reducing the dimensionality of the search space to focus on a few hypotheses that can be experimentally tested. The close computational-experimental interactions provide the foundation for the successful execution of our mission. Mechanistic identification of biofluid metabolite changes as markers of acetaminophen-induced liver toxicity in rats. 2B-Alert App: a mobile application for real-time individualized prediction of alertness. Network modeling of liver metabolism to predict plasma metabolite changes during short-term fasting in the laboratory rat.